...while sharing snippets of her new music. I wou;dnt be upset if I never saw another blog posting about cardi. I am exhausted and of all things her piercing? 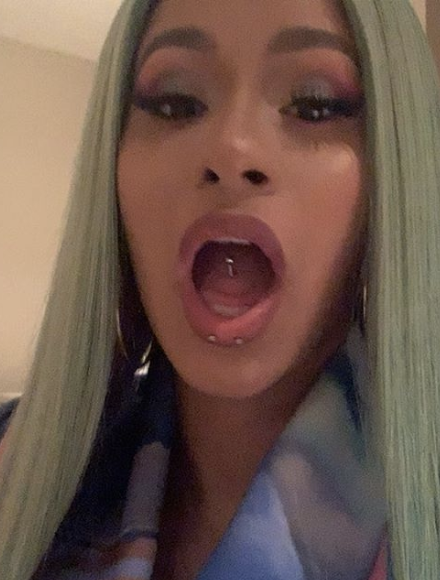 Any news on Megan thee stallion or NoName or like ANY other artist? Megan Thee Stallion is everything! I love her too! Young Pharaoh on Youtube dragged this hoe for blood and filth and I lived!!! I'm just waiting for Rocky Badd to blow up.